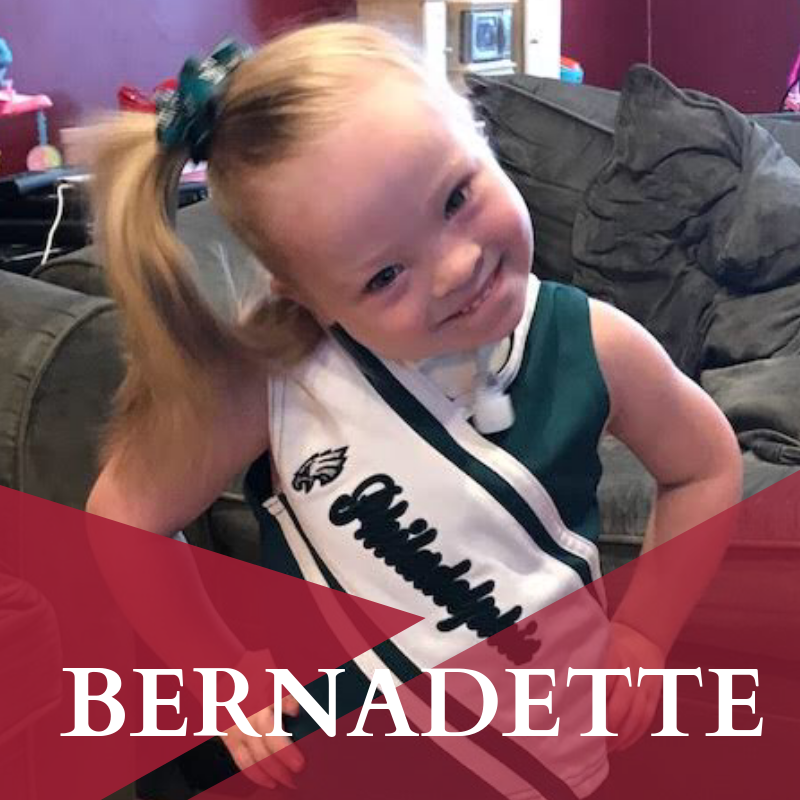 Bernadette is a 3 year old followed extensively by General Surgery, ENT, GI and Pulmonary Teams. Bernadette has had extensive hospital stays and multiple surgeries in the past and a few planned for this year. She spent 55 days in CHOP this past fall 2016 (sadly not planned) due to complications from subglottic stenosis-it was a very long and stressful hospitalization! She currently has a tracheostomy in place to help her breathe. She is also a patient of the Trisomy 21 clinic at CHOP. Her big sister gave her the nickname of "B." Bernadette also has a "one-of-a-kind" relationship with our bulldog, Rizzo. She LOVES TO DANCE!!!! Her favorite song is "Uptown Funk" by Bruno Mars. She also loves to be outside and playing.